See Prof. Aaron Stillmaker's website for up to date information, this site will no longer be updated. 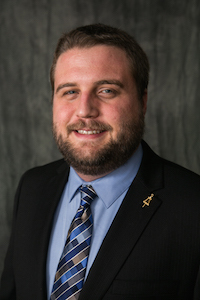 In Spring 2017 Dr. Aaron Stillmaker will start a position as Assistant Professor in the Electrical and Computer Engineering Department at California State University, Fresno. He earned his PhD in 2015 while affiliated with the VLSI Computation Lab in the Electrical and Computer Engineering Department at the University of California, Davis under the advisement of Dr. Bevan Baas. Aaron recieved his BS degree in 2008 in Computer Engineering from the California State University, Fresno in the Smittcamp Family Honors College and his MS degree in 2013 in Electrical and Computer Engineering from the University of California, Davis. Aaron interned with the Circuit Research Lab under Intel Labs in Hillsboro, OR from September to December 2013. During his undergraduate work he held a long term internship at Pelco Inc. This page was last modified on 5/12/2016.